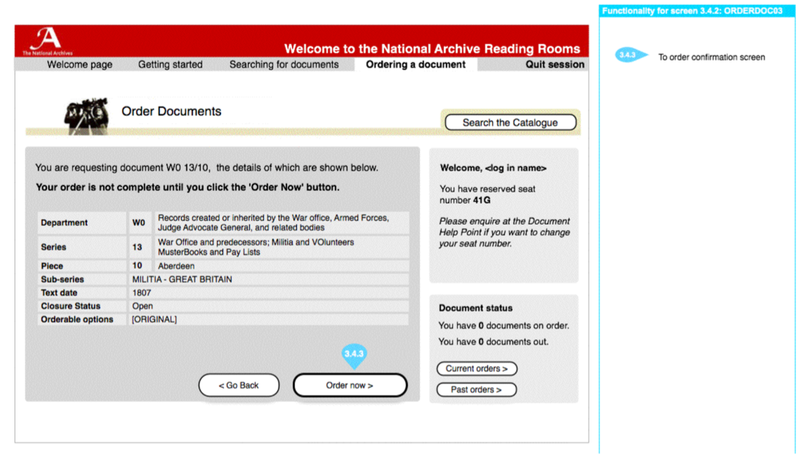 I was a key part of the team that provided strategic leadership for the National Archives Reading and Document Reading Rooms. This involved an extensive survey and review of the current spaces, processes and intranet services. I interviewed key staff and members of the public to formulate a clear picture of how the service could be improved. 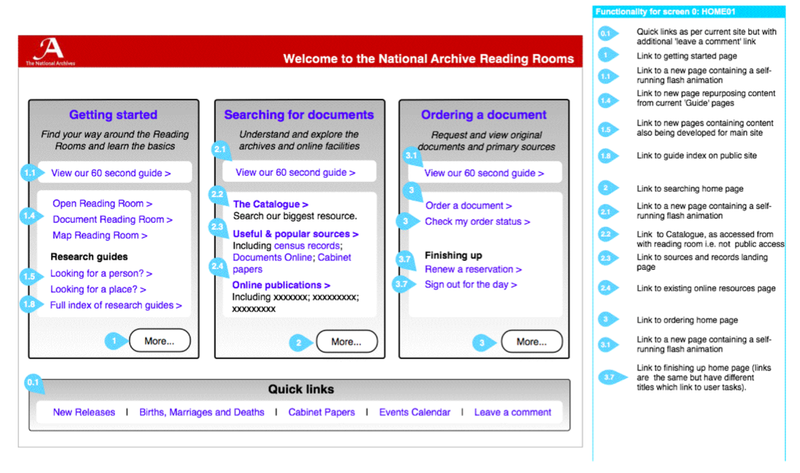 As part of the project deliverables I created a series of new wireframes for the Archive’s onsite web services and a series of process diagrams which the Archive used to help guide their future planning.